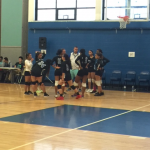 Friday, May 12, 2017 4:00 PM Madison Park High School AWAY 0 Randolph High School HOME 3 Game Recap On Friday, 5/12, the Randolph HS Boys Volleyball team played a home match against Madison Park HS. Randolph defeated Madison Park by a score of 3-0. The scores of the sets were: 25-13, 25-13, and 25-9. Friday, May 5, 2017 4:00 PM Catholic Memorial High School AWAY 3 Randolph High School HOME 2 Game Recap On Friday, 5/5/17, the Randolph HS Boys Volleyball team played an exciting match against Catholic Memorial HS at Randolph HS. Catholic Memorial came back from an 0-2 deficit to defeat Randolph by a score of 3-2. 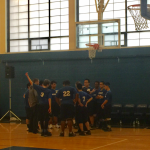 Multiple Teams · Apr 13 Blue Devils Game of the Week: Boys Volleyball against O’Bryant! !